Astrologer Pandit Pawan Kaushik is out to revolutionize what we think of astrology! The study of the movements and relative positions of celestial bodies has for years been exploited with many apparent astrologers in the garb of Pandits doing poojas and yagyas. PanditPawanKaushik recently celebrated his birthday at JW Marriot Juhu where Bollywood celebs,family members and guest came to wish him happy birthday. Rajpal Yadav and Pankaj Berry cmespecially from shoot. 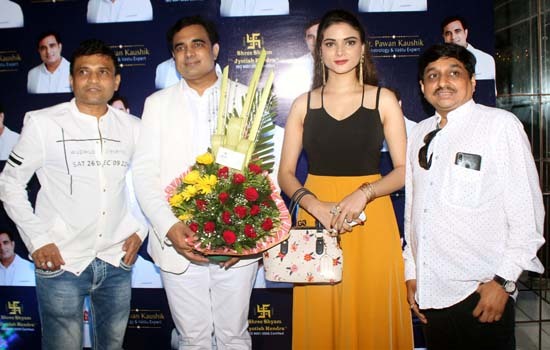 Other guest who came for this event were Surendra pal, Sunil Pal, Nikita Rawal, AartiNagpal, Vipul Shah, SaajanAgarwal, Atul Patel, Kishan Kumar, LeenaKapoor, Nasir Khan, YogeshLakhani of Bright Outdoor, Manish Srivastava, NarshiVasani and Manjari Mishra from Mubu TV.